important to keep them clean. That means regular vacuuming is required. You should use the services of carpet cleaners though once in a while. Professional carpet cleaning equipment is stronger and cleans much deeper than most home systems. There are a couple of methods and useful tips that carpet cleaners use. The first is known as wet cleaning and the second one is known as dry cleaning. The wet system uses high pressure steam to clean the carpet down to the bottom and then extracts the moisture using high power suction. It is perfectly safe on most carpets. For more delicate rugs and carpets, the dry cleaning is more appropriate and suitable. the fabric of your furniture also. While not needed as often as carpet cleaning, your commonly used furniture will look and smell better with an occasional cleaning. 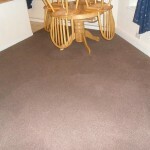 Carpets cover one of the six surfaces of any room. That means it gets a great deal of attention from anyone entering it. It also gets more wear and tear than any of the other five surfaces. You need to provide regular cleaning in order to keep it looking good and to keep it in good shape. When you are ready to get carpet cleaners in, you need to find one that has years of experience dealing with many types of fibres and carpet types. That will ensure all of your carpeted surfaces will come out looking good. It will also give you confidence in getting your upholstery cleaned as well.